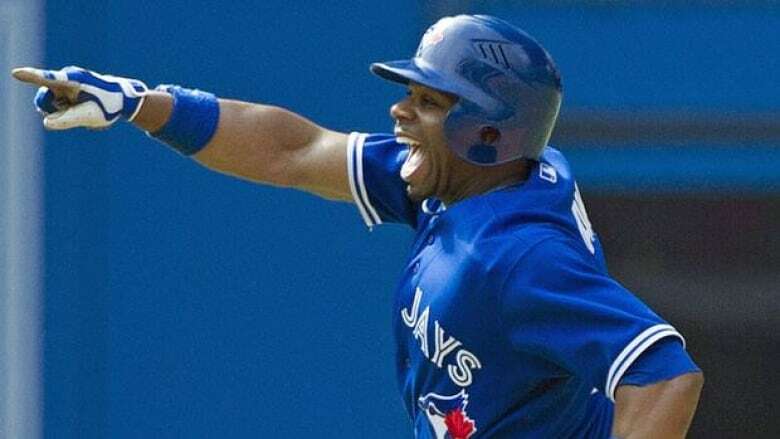 The MLB Network baseball channel could be available to Canadian fans by the start of the 2013 season under an application put forward to the CRTC. Rogers Communications Inc., corporate parent of the Toronto Blue Jays, has applied to the federal broadcast regulator to bring the channel to Canada. In its application, the company says the new channel would complement the games already broadcast in Canada, akin to what the NFL Network does for football games. "We believe the uniqueness of the MLB Network service, with its attractive and unique programming, will respond to consumer demand and help drive additional analog customers to our digital platform," Rogers said in its application. The cable company also said it is already competing with unregulated online services that broadcast baseball games. "The MLB Network will give Canadians another incentive to remain within the regulated system. This will have a positive impact on the growth of digital cable in Canada and on the Canadian broadcasting system as a whole," Rogers said. The additional cost to viewers wanting the channel if it is approved by the Canadian Radio-television and Telecommunications Commission was not available. David Purdy, senior vice-president of content at Rogers, said the company was still in negotiations with MLB regarding the network and decisions on how it would be rolled out as part of its cable TV offerings had not yet been made. "Whatever they charge us in terms of a wholesale fee, we have to figure out how to absorb that in our retail price," said Purdy, who hoped to have the channel available for baseball fans by the start of the 2013 season if it is approved. Rogers has been working to increase the sports content available on everything from smartphones to tablets and televisions to personal computers so that fans don't miss any of the games and Purdy said the MLB deal would be no exception. "One of the things we would like to see is that Canadians are able to access more live event baseball coverage across not just their TV, but their PC, their tablet, their smartphone, game console, etc.," he said. MLB Network, which is owned by Major League Baseball, offers baseball programming 24 hours a day, seven days a week, covering all 30 teams. The channel was launched in the U.S. in 2009 and is the most widely distributed sports league-owned cable TV network. The network broadcasts up to 150 live Major League Baseball regular-season games as well highlights, analysis and coverage of major baseball events around the year. Rogers Sportsnet already carries two MLB Network programs Quick Pitch and the Best of Intentional Talk, while MLB Extra Innings is available as a pay-per-view subscription. The application said the channel would not compete with Canadian programming as it catered to a niche market seeking wall-to-wall baseball coverage. "In this manner, MLB Network's contribution to the Canadian broadcasting system is similar to the contribution of other non-Canadian single-sport programming services like NFL Network, the Golf Channel, and Speed Channel," documents filed with application said. "The programming offered by MLB Network is vastly different from the current Major League Baseball programming Canadians can see today. Authorizing MLB Network for distribution in Canada will only serve to increase interest in Major League Baseball, which would translate into increased viewership of existing Major League Baseball programming offered by Canadian services." In addition to the Blue Jays baseball team and the Sportsnet speciality channel, Rogers owns the team's home stadium, the Rogers Centre. The cable and wireless company also signed a deal late last year to buy a stake in Maple Leaf Sports and Entertainment, the parent company of the Toronto Maple Leafs hockey team. The company teamed up with Bell Canada on a $1.07-billion bid for a majority of the country's biggest sports franchise company that also includes the NBA's Raptors and the Toronto FC soccer club.